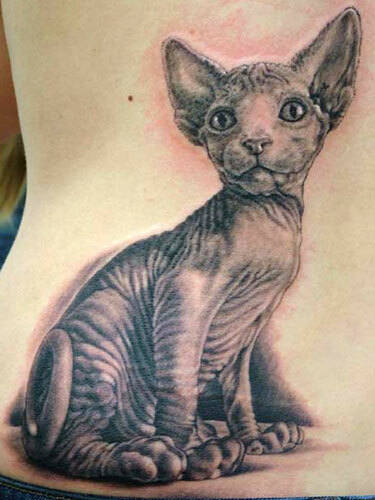 Lets face it people, cats are pretty freaking awesome and really who wouldn't want to have their favorite furry kitty tattooed on them, forever?!? 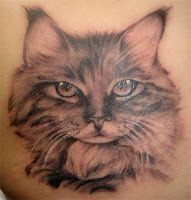 There are so many choices when selecting cat tattoos, some people choose the cartoon route and get an animated style design often accompanied by other small objects like stars, hearts and maybe even a bird, while other folks rather have a tattoo of their very own cat or cats, which requires a very skilled tattoo artist and a high quality photo of your precious kitty cat. 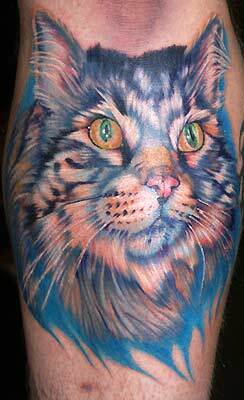 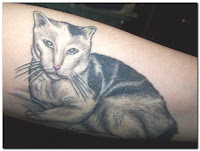 Have a look through this picture gallery of very nice cat tattoos. 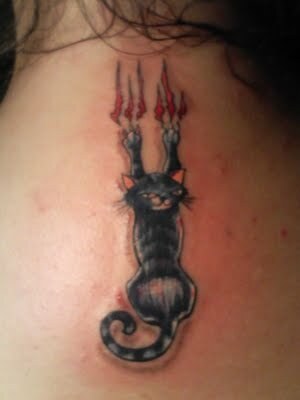 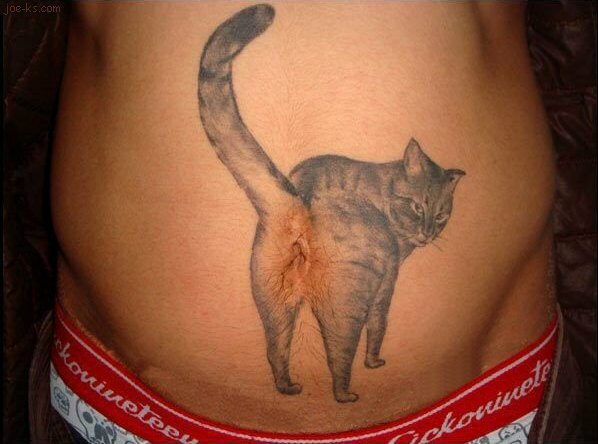 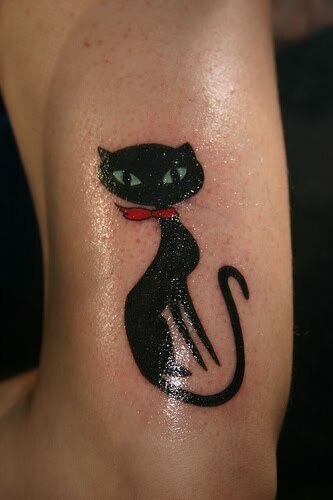 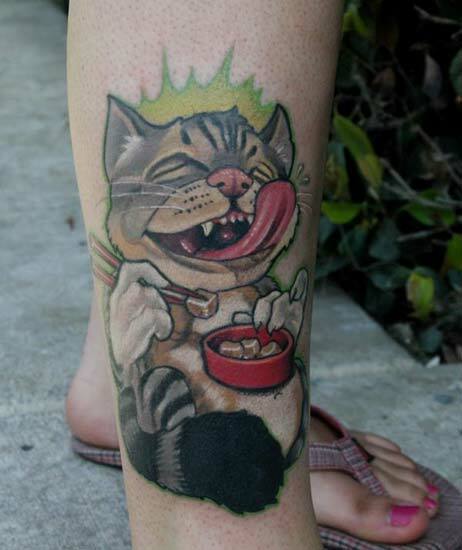 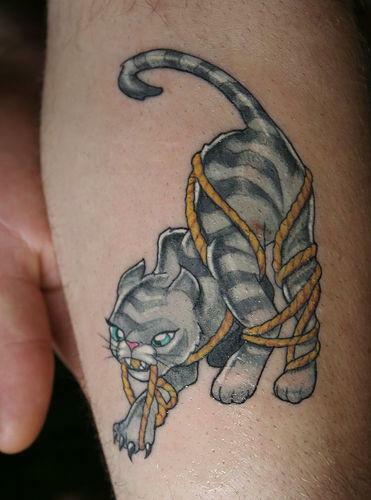 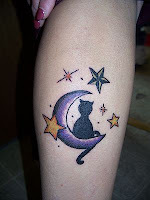 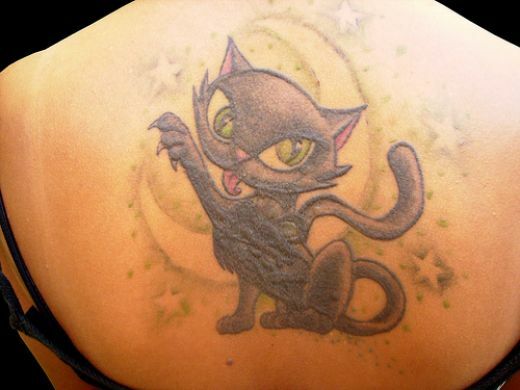 Some people like to have their cats personality incorporated into the tattoo design. 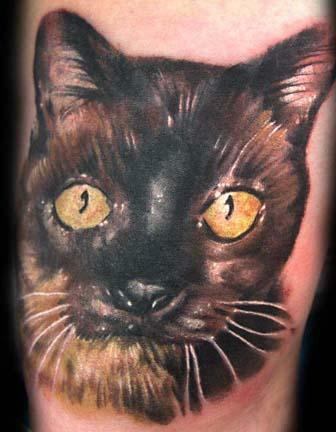 Traditional cat portrait tattoos are very common, just make sure you get the right end of Mr or Mrs kitty. Getting a tattoo of the family cat can be a great thing, but getting a tattoo portrait of all the family pets is an excellent way of truly showing your gratitude to the animals you love.